Ready to rock out your new business venture? And you have some ideas for your branding, too! Maybe you have taken a branding (and a maybe create a branding board, too). Then go for it! Woo-hoo! Before starting, here are some tips to creating a cohesive branded business – – here is a crash course in personal branding and some important items to avoid. Flattery is great, copying gets you a cease and desist letter! Is your new business venture a Direct Sales company? If so, I implore to you to not use their fonts and color scheme. Heck, the policies and procedures probably states that information, too. If you ignore that document and my advice, you’ll probably get yourself in trouble if you rise up the ranks of your company. If your new business venture is something of your own creation, be advised to not mimic or straight out copy the major brands in your industry. Did you know that certain colors are actually trademarked? Hop over to this Mental Floss postto find out more. Basically, if you are opening an amazing new jewelry boutique on Etsy do not use Tiffany Blue® as one of your branding colors. A word of caution on the fonts you select. First, fall in love with a font that you are allowed to use commercially. That way you do not have to pay a small fortune to use it. A good rule of thumb is to look for ones that are 100% free use or read the fine print carefully. Furthermore, many fonts are free for personal use but not to be used for business purposes. A good rule of thumb is to have two complementary fonts. Additionally, make sure that your text is legible and clean. You want things to be easy to read and not misunderstood. Or inappropriate! To that point, check out this Buzzfeed article for some hilarious font mistakes! HAHA!! If you are ready to lose a large amount of time and want to start pairing up some fonts, Fontjoy has a neat tool on their site. Did you know there is a large amount of research behind colors and the feelings that they evoke? Thus, a lot of major companies are very thoughtful and diligent about selecting colors that set the right tone for their businesses. Well, I know you and I haven’t reached the levels of those big companies (yet) but we can still explore that research. For good measure, here are two posts from Entrepreneur and The Logo Company that offer slightly opposing viewpoints so you can start to draw your own conclusions. Ultimately, it is up to you which colors you pick. It is strongly suggested to pick colors that would appeal to your target market/ideal client. 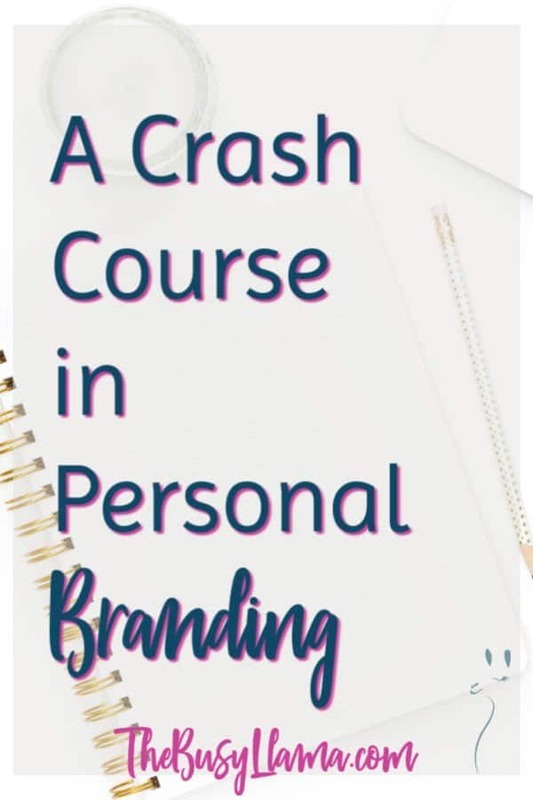 Wow, that was a lot of information in the crash course to personal branding! I bet you didn’t know I like to get about geeky about stuff like this, did you? Want to talk more about fonts, colors, and more? Drop me a line, I would love to chat. Additionally, be sure to subscribeto keep up with the latest reviews, business opportunities, and see if I actually keep my sanity as a mama!